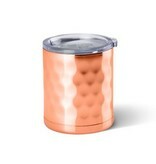 The NEW Luxe collection features an upscale honeycomb texture with a copper electroplate finish. SUPERIOR TEMPERATURE RETENTION (HOT/COLD) - Swig’s double-wall tumblers will keep your drinks seriously cold (or hot!). 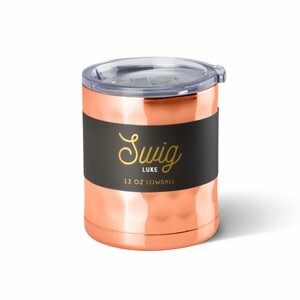 Swigs are engineered to maintain the temperature of your beverage for the maximum time possible with current technology. Swig’s double-wall vacuum insulated Lowball Cups will keep your beverage cold up to 12 hours and hot up to 9 hours.